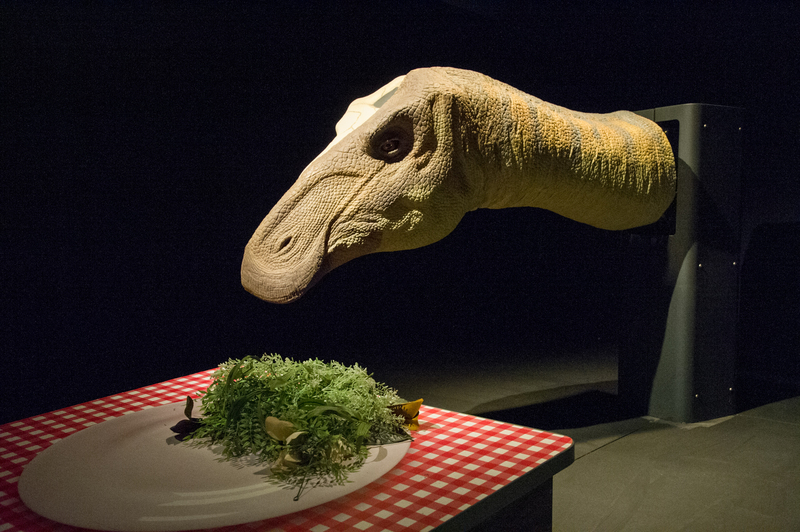 Fun Science Experiments "Adventures in Dinosaur Island"
Receive a warm welcome from Edmontosaurus, Brachiosaurus and Tyrannosaurus while they are enjoying their meals. Get a close-up look at their teeth and find out how they differ. 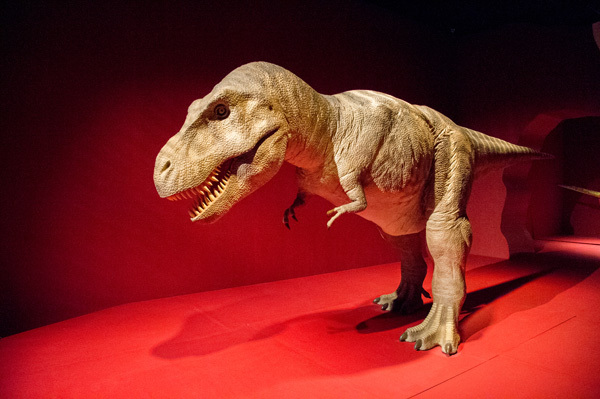 Interactive Tyrannosaurus – Why is the ferocious Tyrannosaurus always gazing at you? 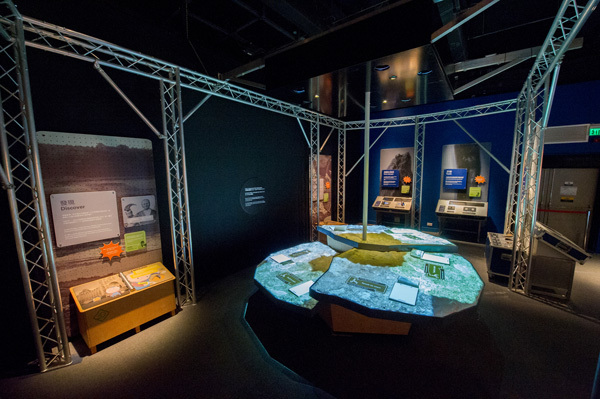 Come and find out the truth. 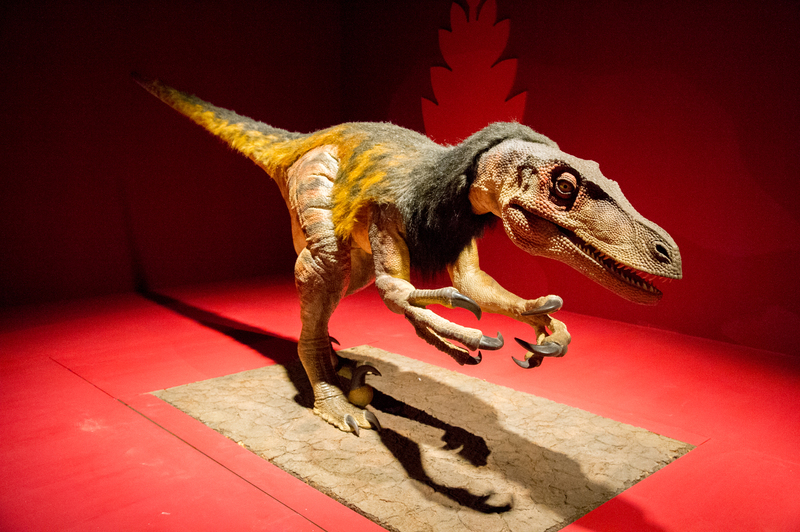 Let’s play with Velociraptor - Let’s play with the Velociraptor with the baton and see how it reacts. Watch out! 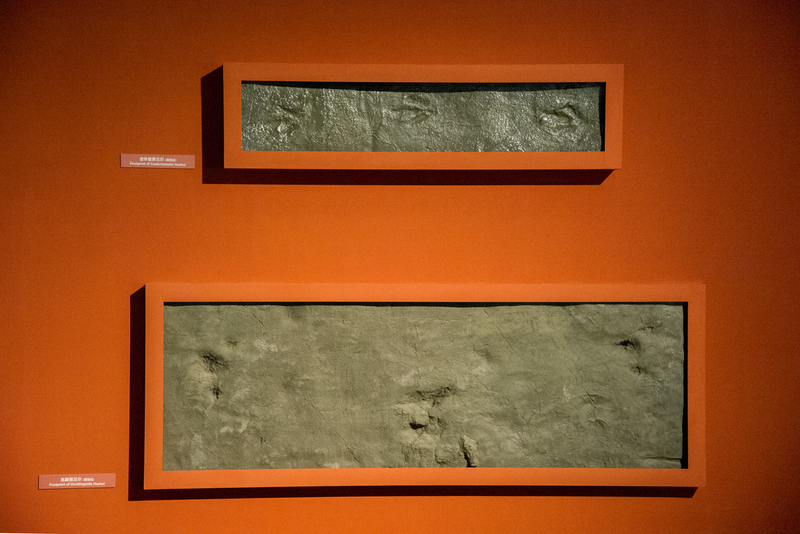 It may fight back. 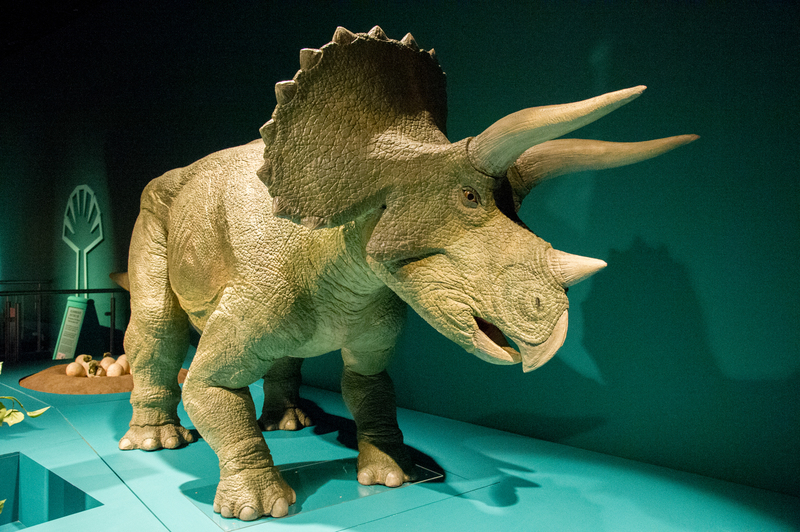 Farting Triceratops – Let’s feed the hungry Triceratops by getting food from the AirZooka. Wait and see how it reacts. Virtual Dig – Learn the basic knowledge of fossil digging from dino-scientists. Extinction – Try to unveil the mystery of dinosaur extinction here. Lufengosaurus magnus – Lufengosaurus was the first dinosaur skeleton mounted and displayed in China. 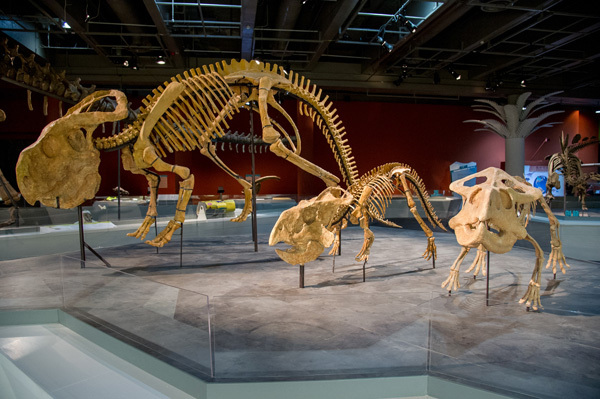 Protoceratops - A small kind of creatopsian dinosaur that was the ancestor of Triceratops. 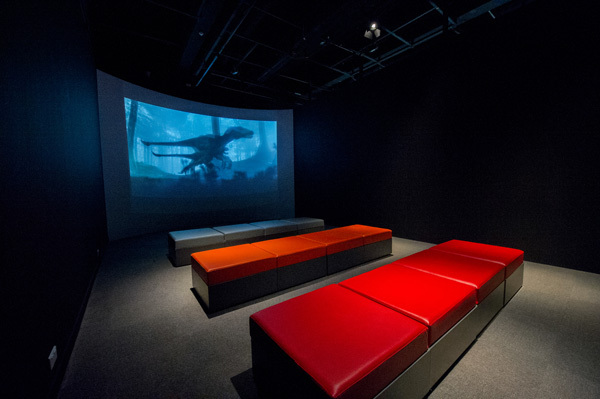 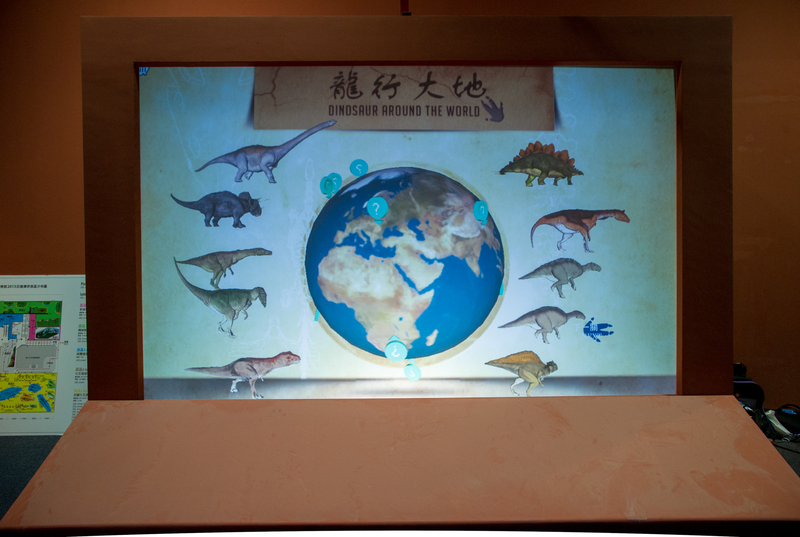 Dinosaurs around the World – An interactive game using motion sensing technology to bring dinosaurs back home. 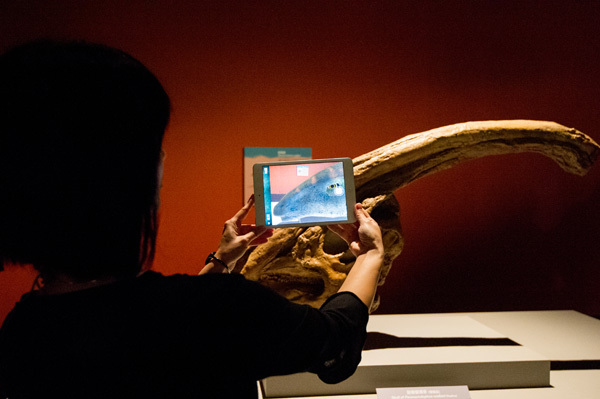 Dino Face – Use your smartphone or tablet to reconstruct the Parasaurolophus and Pachycephalosaurus. Daxiatitan binglingi – One of the largest dinosaurs of Asia. 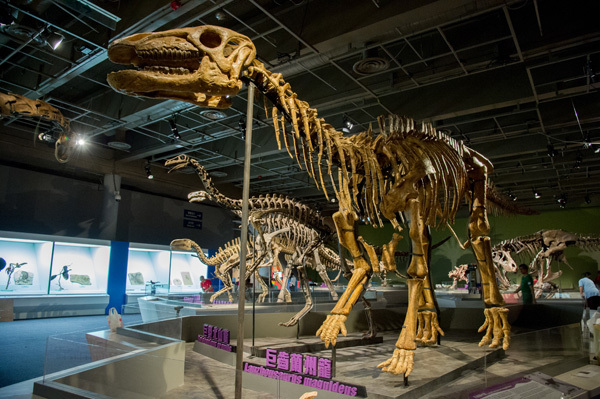 The fossils of its cervical vertebra, dorsal vertebra, caudal vertebra and rib are displayed alongside the skeleton model. 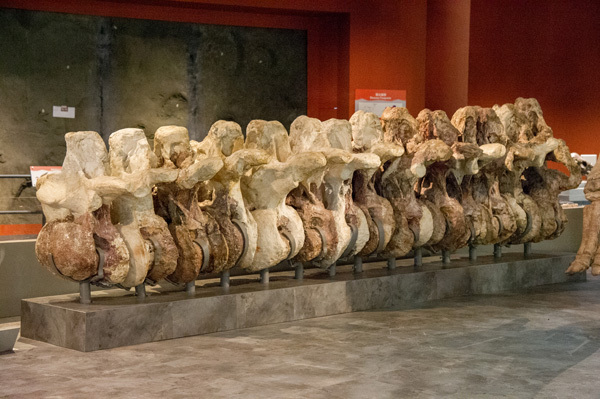 Dorsal vertebrae of Ruyangosaurus giganteus – The size of the fossils indicates that it may probably be the largest dinosaur of the world. 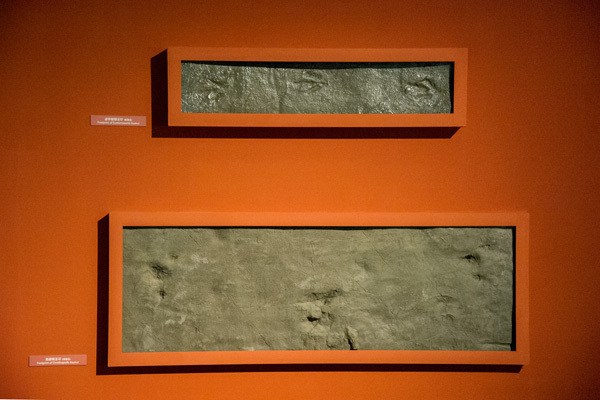 Wall of Dinosaurs Footprints – Displaying the footprints of various kinds of dinosaurs. 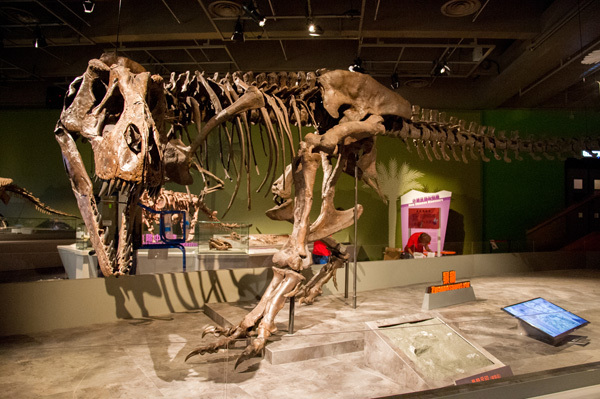 Tyrannosaurus rex – One of the largest carnivorous dinosaurs. Its powerful bite was among the strongest of any animals that ever lived. 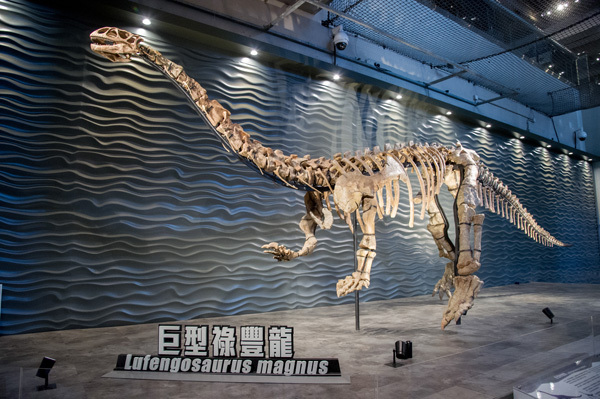 Lanzhousaurus magnidens – Its teeth was the largest among all herbivorous dinosaurs. 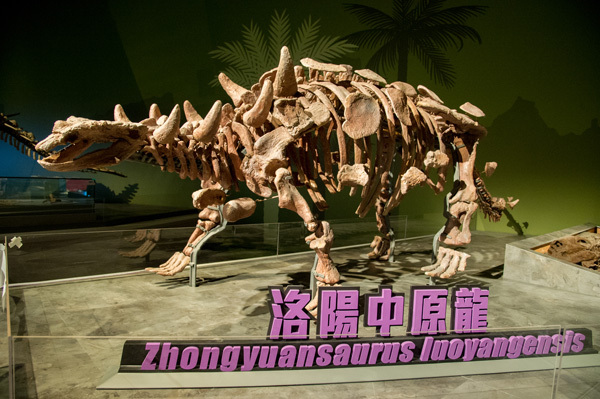 Zhongyuansaurus luoyangensis – The only nodosaurid dinosaur ever found in China. 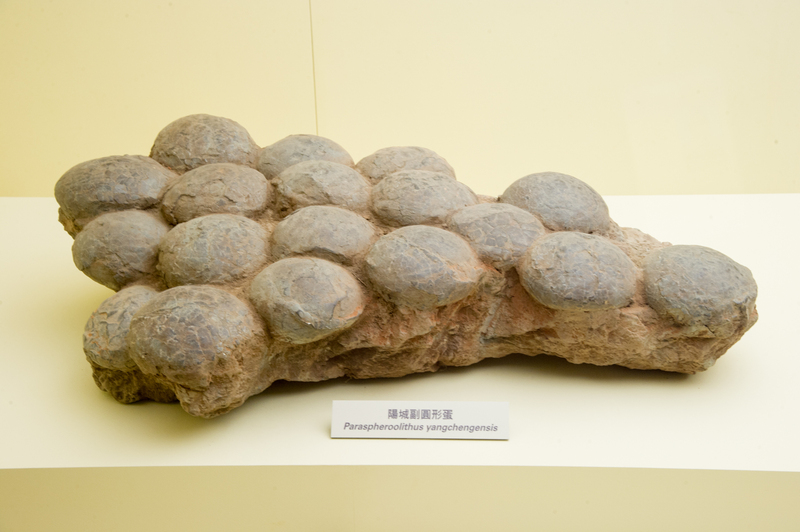 Dinosaurs Egg Fossils – Fossilised dinosaur eggs come in various shapes and sizes. 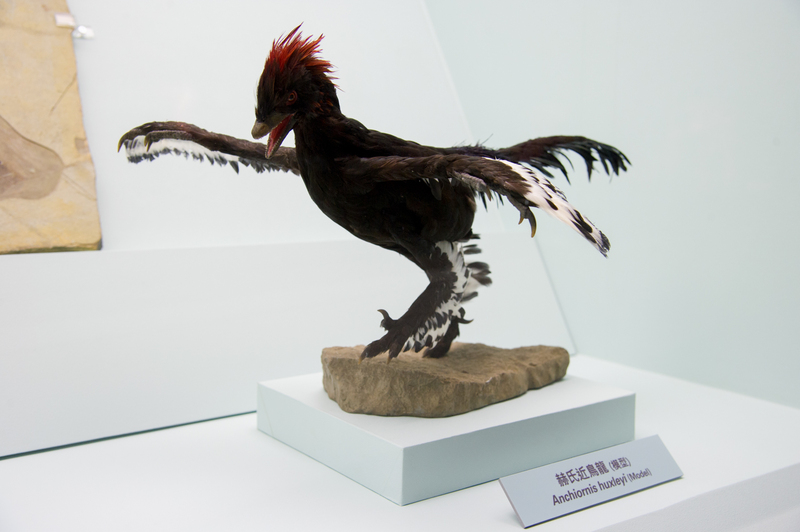 Anchiornis huxleyi – The most ancient feathered dinosaur ever discovered. 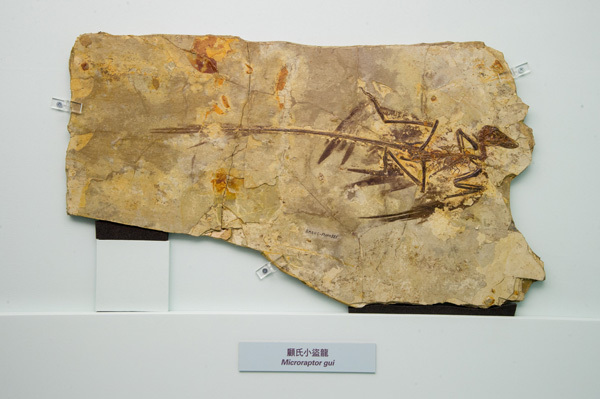 Microraptor gui – The earliest dinosaur that were found to have feathers and wings. 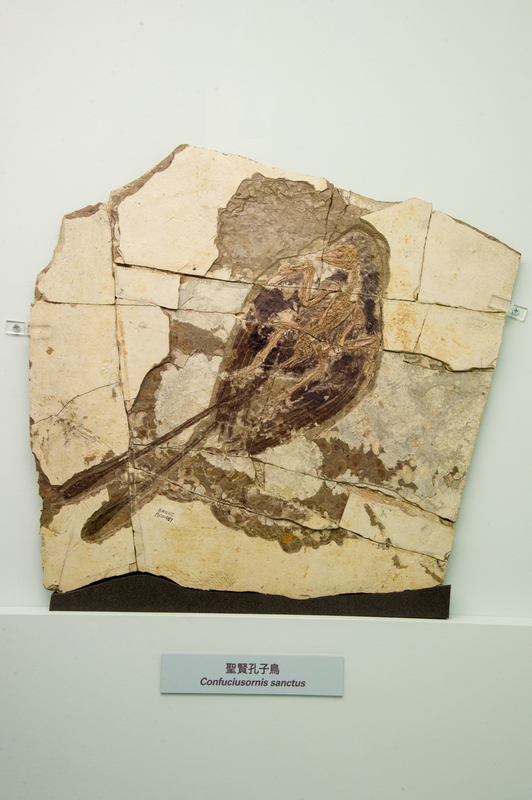 Confuciusornis sanctus – The most important bird fossil from the Jehol Biota.